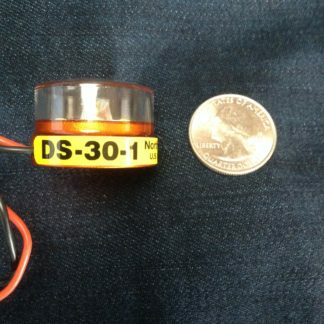 The DS-30A-1 Blue Lightning Drone Strobe incorporates 4 blue LEDs with a center side emitter optic. 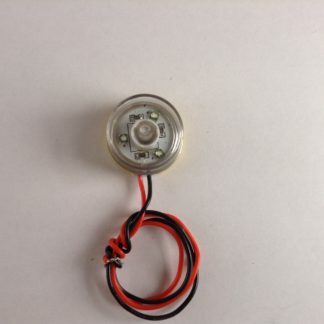 The Blue Lightning Drone Strobe is used with the Red Lightning Drone Strobe on sheriff, police, and other Law enforcement drones as well as police SWAT robotics. These strobes flash 60 times per minute and provide instant recognition as an official Law Enforcement asset. Viewing Angle: Full upper hemisphere. Tested Night Visibility: Over 10 Nautical Miles. 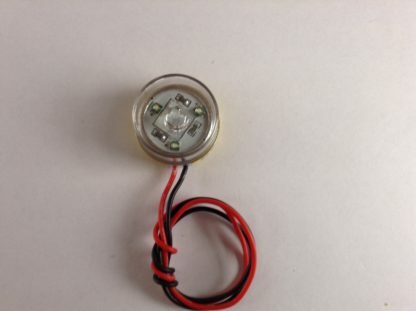 Light Source: 4 CREE LEDs. At 4.5 VDC. flash current is 0.96 Amps. Average current input 0.077 Amps. At 6.0 VDC. 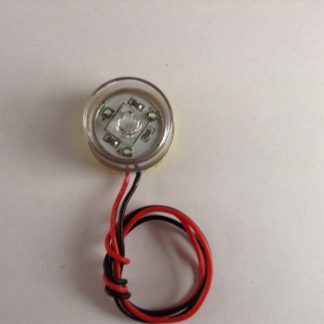 flash current is 0.70 Amps. Average current input 0.056 Amps. At 7.5 VDC. flash current is 0.55 Amps. Average current input 0.044 Amps. At 9.0 VDC. flash current is 0.46 Amps. Average current input 0.037 Amps. Use BEC or Lithium batteries under 11.0 VDC.